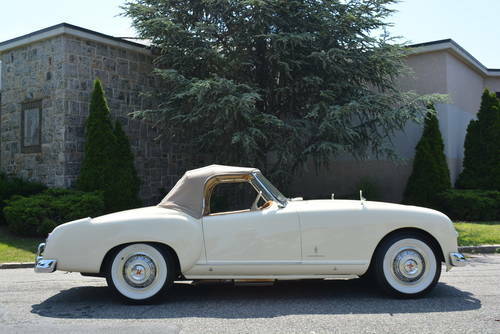 This 1953 Nash Healey Roadster is a beautiful car wearing a quality older restoration. 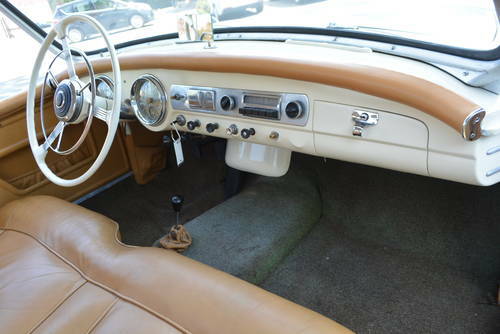 Ivory with tan interior. It runs and drives fantastic and shows very nicely. 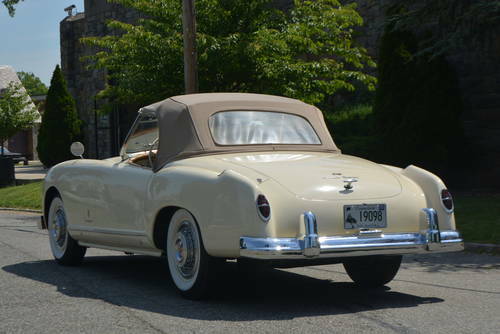 For 1952, Nash commissioned Italian designer Pinin Farina to revise Healey's original body design. 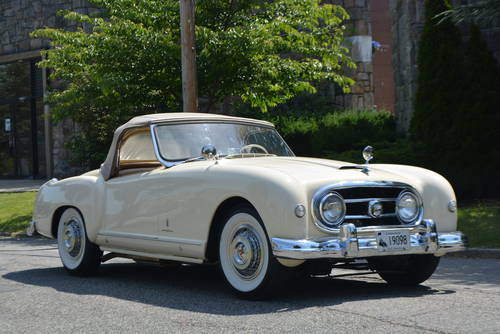 The front received a new grille incorporating inboard headlights and the sides now featured distinct fender character lines ending with small tail-fins in the rear. A curved windshield replaced the previous two-piece flat windshield. 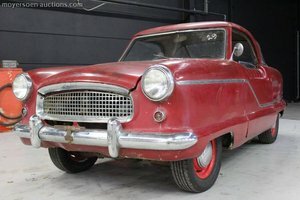 The restyled car appeared at the 1953 Chicago Auto Show. 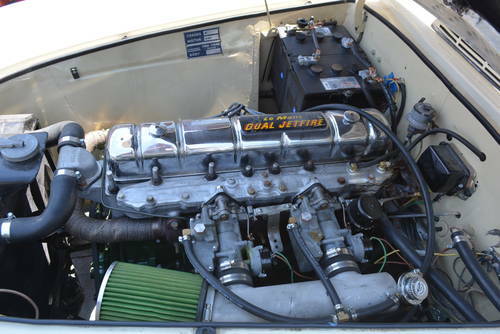 This particular example would be a wonderful addition to any collection and would make for a prized possession for any Nash Healey enthusiast.